What a wonderful reception in Saltash. Saltash Environmental Action (SEA) had assembled at the Maurice Huggins Rest Room at the top of town. A mass of people with cakey tea and good wishes for our trip. Euan and I got there a few minutes early and right on cue Ricky and Ewan struggle up Fore St., not so easy when heavily laden. Les Quatres Cyclistes de I ‘Apocalypse sont complet. Much chat and fond hellos to old friends and then darkness having fallen it is time for the off. 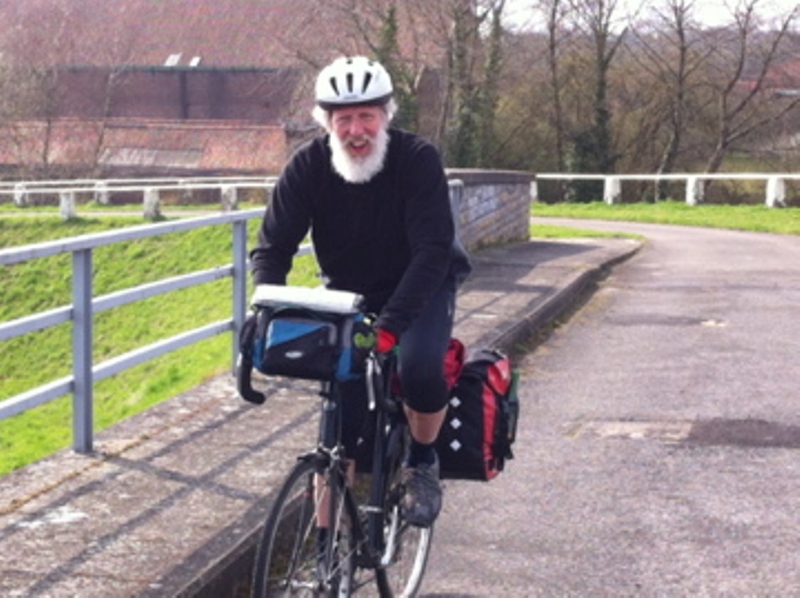 Over a dozen bikes for the ride over the bridge – a splendid sight turning in the saddle to see them in line astern. The children turned back at the other side and the rest continued into Plymouth.